Accidental injuries from falls threaten seniors’ safety and independence. Baltimore is just one community confronting this issue as its population ages. In Baltimore, older adults fall and require hospital care about 5,000 times each year, roughly one-third more than the national average. Yet even as the personal and economic costs of this epidemic rise, the evidence is clear—most falls are preventable. Through practical lifestyle adjustments, home and physical environment modifications, and community partnerships, the number of falls among seniors can be reduced substantially. Making fall prevention a priority across sectors requires sharing timely, comprehensive data on fall risk factors at the local level so that state and city leaders can take steps to identify and address issues in the built environment as well as offer targeted interventions to prevent falls in the future. A large network of community partners will receive regular updates indicating when and where falls are occurring in the city, allowing them to align and focus their efforts. 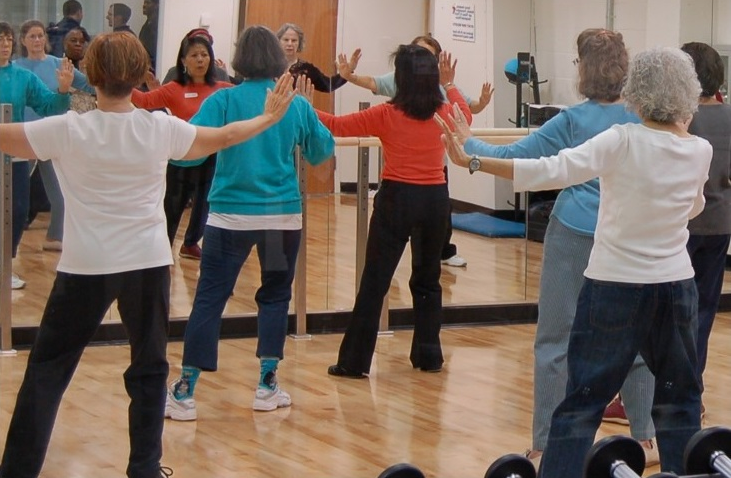 The data will help partners implement evidence-based exercise interventions, home visiting programs, support for medication management, and facility repairs in “hot spot” areas where rates of falls are high. Core medical data will also be integrated with other health, environmental, and social services data from partner organizations so that analyses can be conducted to inform the development of new and existing initiatives. For example, overlaying falls and housing data will help the Public Housing Authority prioritize their maintenance requests and direct place-based interventions. The results of these analyses will be also used to inform a city-wide communications campaign to prevent falls and social isolation among older adults. The B’FRIEND community partners meet monthly to discuss how they can use the data to streamline their efforts and develop more effective solutions in neighborhoods with high fall rates, like addressing sidewalks in disrepair or offering vision screenings. The project has also given community residents a voice by assembling an advisory group of older adults, nominated by B’FRIEND partners, who provide input to ensure the interventions are reflective of seniors’ needs and concerns. The B’FRIEND team has been working closely with executive leadership, including the City Solicitor, city lawyers, and the Health Commissioner to obtain input and buy-in on a legal framework for data sharing that maps different legal strategies based on specific applications of the data. In an effort to be transparent at every point in the process, the health department recently invited public comments on a regulation that outlines their authority to access data on fall-related injuries for surveillance and monitoring purposes. Once the legal agreements are in place, the next step will be developing procedures for managing the data so that ideas can be turned into real-world programs to prevent falls. B’FRIEND has established a strong governance structure that will provide oversight, enabling better decision-making, ensuring compliance with confidentiality laws, and protecting the needs of all the data stakeholders who are involved. With powerful partnerships in place, the data can have applications that go beyond the original scope of the project. In the future, the Baltimore City Health Department plans to use all the available data to develop a risk score for falls that can be included in medical records to notify primary care doctors about patients’ fall risk, strengthening the connection between population health and primary care. As more efforts across the city join B’FRIEND, the collaboration can serve as a model for using data from diverse sources and sectors to address pressing public health challenges in Baltimore and beyond.